Machine logic is based on human logic. But although a computer processor can be dissembled and dissected in logical steps, the same is not true for the way our brains process information, says Mark Shein of Tel Aviv University's School of Electrical Engineering. Doctoral student Shein and his supervisors, Prof. Yael Hanein of the School of Electrical Engineering and Prof. Eshel Ben-Jacob of the School of Physics and Astronomy, want to understand the brain's logic. They have developed a new kind of a lab-on-a-chip platform that may help neuroscientists understand one of the deepest mysteries of our brain –– how neuronal networks communicate and work together. The chip was recently described in an issue of the journal PLoS ONE. Within it, Shein has applied advanced mathematical and engineering techniques to connect neurons with electronics and understand how neuronal networks communicate. Hoping to answer ultimate questions about how our neuronal circuits work, the researchers believe their tool can be also used to test new drugs. It might also advance artificial intelligence and aid scientists in rewiring artificial limbs to our brain. There are relatively simple neural "firing" patterns that can be measured with sensory organs like the ears or eyes, but researchers know little about deep thought processes. Could the brain's electrical signals reveal the basis of thought itself? "When we look at the neuronal networks operating in the ears or eyes, we have some idea about the coding schemes they utilize," explains Shein. A researcher can apply a stimulus such as a bright light, for example, and then monitor responses in the eye's neurons. But for more complex processes, like "thinking" or operating different sensory inputs and outputs together, "we are basically looking into a black box," he says. The brain is composed of a daunting number of circuits interconnected with other countless circuits, so understanding of how they function has been close to impossible. But using engineered brain tissue in a Petri dish, Shein's device allows researchers to see what's happening to well-defined neural circuits under different conditions. 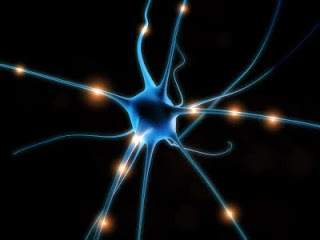 The result is an active circuitry of neurons on a man-made chip. With it they can look for patterns in bigger networks of neurons, to see if there are any basic elements for information coding.